The Boston Celtics are back to their winning ways after defeating the Orlando Magic 118-103 at TD Garden on Friday. A tremendous team effort saw the Celtics running away with the game in the first half and never looking back. Kyrie Irving worked his magic on Orlando with 30 points in 25 minutes before he got some valuable rest in the fourth, and Terry Rozier had a career-high 23 points on 8-11 shooting (5-7 from three). 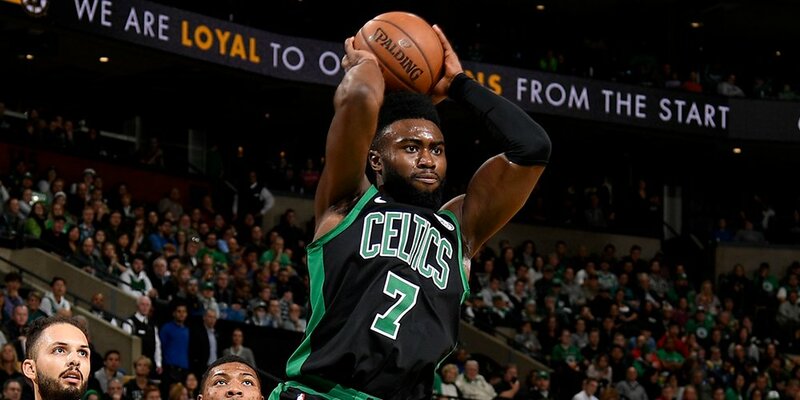 Jaylen Brown leads the way for the C’s with 10pts. Horford: 3pts; 7ast. The C's picked up right where they left off following their strong first quarter. Led by Rozier and Aron Baynes, the Boston bench had a great showing and added further cushioning to the lead. Rozier added seven points in the quarter alone (13 in the half) and shot 3-4 from three. Despite the big lead, the Celtics maintained their hustle and urgency. They had very few mental lapses and continued playing solid defense, limiting the Magic to 22 third-quarter points. Kyrie Irving’s got 30pts (9-for-15 from the field and 10-for-10 from the line). Rozier: 16pts; Brown: 13pts, 4ast; Tatum: 11pts. With a 30-point advantage, Brad Stevens rode his bench all the way home in the fourth. Rozier continued shooting lights-out, as he upped his scoring total to a career-high 23 points on 8-11 shooting. The Celtics will be back in action tomorrow night as they face off against the Indiana Pacers.